Students are driving the formation of a serious gaming scene. As executive director of the Fiesta Bowl, one of the largest postseason college football games of the year, Mike Nealy was more familiar with shoulder pads than mousepads. Six months ago, he didn't know people were making money playing video games professionally, he'd never heard of Twitch, and the last time he picked up a controller, it was attached to an Atari 2600. That all changed after a conversation with John Pierce, an esports consultant and former marketing head for the Phoenix Coyotes and US Olympic Committee. Pierce outlined the professional-gaming boom to Nealy and explained how it could tie into the collegiate football scene. He put Nealy in touch with Blizzard, the studio behind Overwatch. 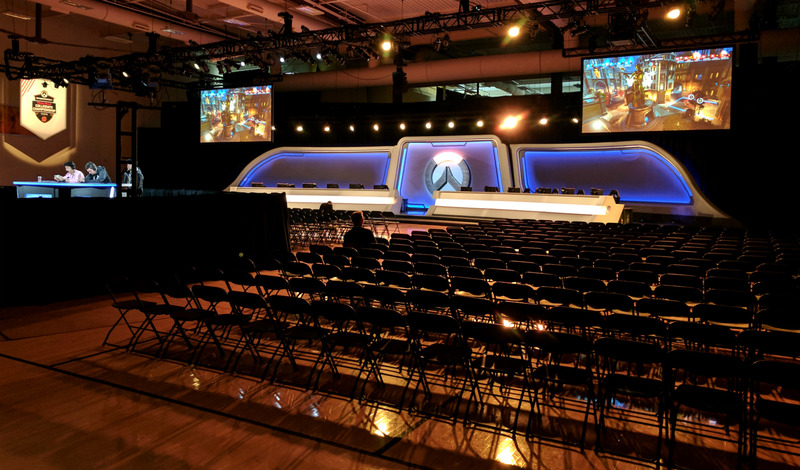 A few months later, on February 17th, the Fiesta Bowl hosted the Overwatch Collegiate Championship at Arizona State University, selling out the Sun Devil Fitness Complex. Organizers filled the space with a giant stage, 12 gaming PCs, two massive screens, dozens of lights and cameras, and a raised commentator desk. The four finalists (UC Berkeley, UC Irvine, UC San Diego and the University of Toronto) each sent six players and support staff to Tempe, Arizona, where they volunteered with the local Boys & Girls Club, were treated to dinner, participated in a media day and battled for the collegiate title -- all things the Fiesta Bowl does with student football players when they roll into town. "My perception was this out-of-shape kid that's eating Cheetos and playing a game, and can't talk socially, and is a basket case athletically," Nealy said. "No, these are normal kids. ...This is just a different avenue. They're smart, intelligent and very capable individuals that have found a niche and are doing something that they enjoy doing." Nealy gets esports now, and he's not alone. Esports generated $756 million in revenue in 2017, mostly through sponsorships and ads, and that number is expected to hit $1 billion this year. Popular games like League of Legends and Overwatch have implemented regulations to improve conditions for pros and stabilize the industry. Traditional sports teams are buying esports franchises and launching leagues as dedicated arenas pop up across the US. Universities are taking notice, too. Illinois' Robert Morris University was the first school to establish a varsity esports program in 2014, offering scholarships to skilled League of Legends players. Today, more than 60 colleges and universities have esports programs recognized by the National Association of Collegiate Esports (established in 2016); many more schools have unofficial programs, some of which are extremely successful. Take UC Berkeley for example. It doesn't have a NACE-sanctioned program, but it supports players through the school's Rec Sports system. 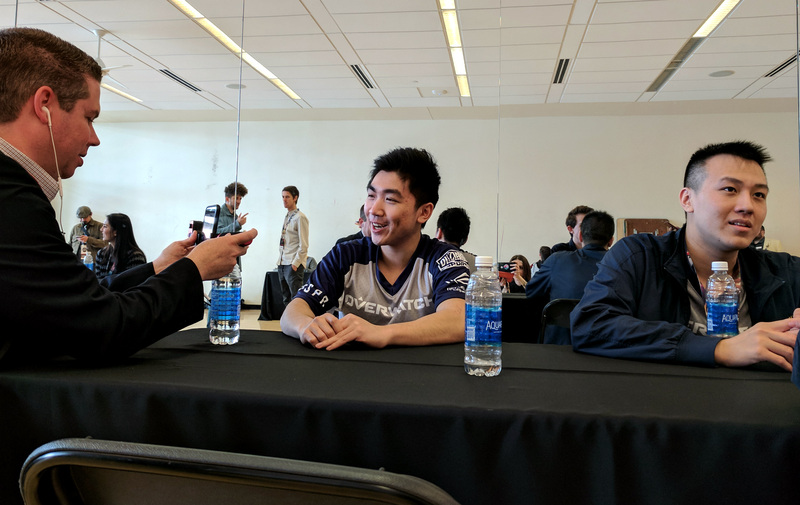 Cal Rec Sports paid for the UC Berkeley Overwatch team's flight and lodging in Arizona and helped players secure sponsors like Under Armour and Brita. There's no dedicated gaming space on the UC Berkeley campus, though Overwatch team coach and fourth-year cognitive-science major Kyle Feng says it's only a matter of time. The school is taking a real interest in esports, thanks in part to Feng's team. 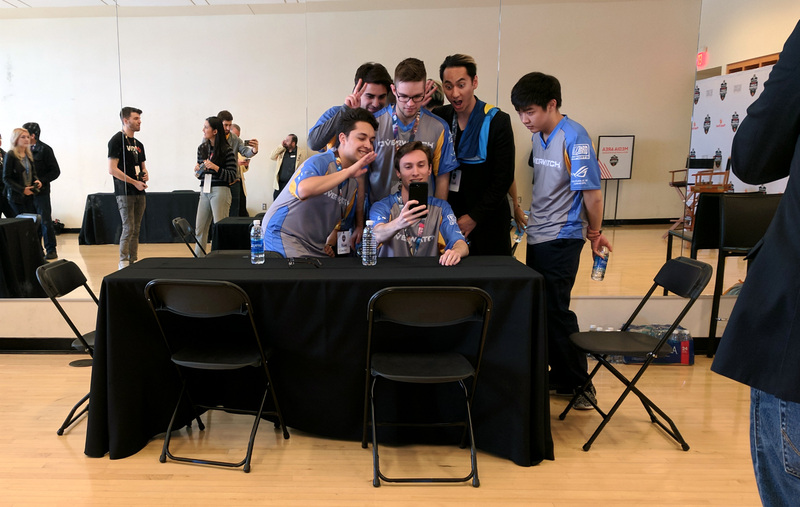 They picked up their second win in a row at the Overwatch Collegiate Finals, defeating UC Irvine 3-0, taking home $6,000 in scholarship money per player. "Expanding at a collegiate level is extremely smart right now because it's such a big industry," Feng said. He wants all universities to have varsity esports programs and gaming rooms if only to even the playing field at tournaments like the Collegiate Finals. In the college scene, teams with dedicated coaches and practice areas regularly compete against groups of friends who simply play together on the weekends, sometimes from their dorm rooms. That was the case this weekend when UC Berkeley and UC Irvine -- a school with one of the most robust esports programs in the country -- competed against UC San Diego and the University of Toronto, neither of which offer support to esports teams on campus. No surprise, then, that Berkeley and Irvine had the upper hand in the finals. "UCSD hasn't really embraced the idea of esports," San Diego offense player Ernie "Jinora" Lum said. "So having the opportunity to come out to this event is definitely a milestone for all of us." Despite the lack of support, UCSD did take a positive step before the finals, according to Lum: It published an article about the team heading to the Fiesta Bowl championships. "We just pulled a bunch of people off of Facebook," Lum said. "We came together instead of having someone pull us together. And we made it all the way here. It's kind of amazing." "We just pulled a bunch of people off of Facebook." Blizzard helped pay for UCSD's trip to Tempe, but otherwise, players were on their own. It was a similar story with the University of Toronto, which doesn't offer support or organization for esports players, even though its League of Legends team is renowned in the college scene. "It's really hard to get recognition from the administration," said Toronto support player Marco "Funanah" Chu. "Being able to come here and see how other teams -- especially UCI, they have a lot of esports backing -- I wish Toronto could be like that." The stories out of UC Irvine are vastly different. Instead of fighting for dedicated gaming rooms and financial backing, Irvine players receive support that will look familiar to any student-athlete, including scholarships and a brand-new esports arena (the first of its kind in the country). It's still on a small scale compared with the investments made in college football, and the school doesn't actually fund the program -- entrance fees to the arena and sponsors like Logitech, iBuyPower and Vertagear provide that money. UC Irvine supports two esports games, League of Legends and Overwatch, offering about $5,600 in scholarship money for League players and $2,500 for Overwatch fiends. One of the most powerful aspects of UC Irvine's esports program is that the administration actively seeks out talented players. Tank player Nick "LearnTooPlay" Theodorakis was in community college last year, and he performed well in a regional Overwatch tournament hosted by Blizzard's collegiate esports arm, Tespa. Afterward, Acting Director of UC Irvine Esports Mike Deppe sent Theodorakis an email inviting him to attend the university -- and play Overwatch. "I'd always wanted to go to UCI, so it just worked out really well," Theodorakis said. "Now I'm there, I'm doing business econ and just having an amazing time." While many universities play catch-up, outside organizations are stepping in to help college players build esports programs at their schools. For instance, Find Your Grind and ReKTGlobal this week announced a $450,000 annual scholarship fund for students interested in esports. Tespa, Blizzard's collegiate-esports initiative that helps organize student esports groups and tournaments -- including the Fiesta Bowl championships -- has 220 chapters in schools across North America. "If you were to compare that to a fraternity or a sorority, it would be top 10 in the world in terms of size, and that's all for gaming," Tespa founder Adam Rosen said. 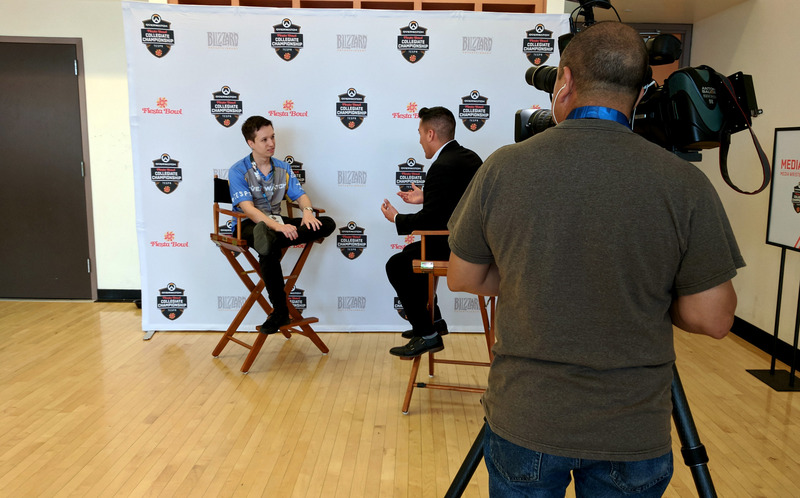 Rosen and Tespa helped Fiesta Bowl administrators -- including esports newcomer Mike Nealy -- plan last weekend's grand finals. The Fiesta Bowl folks brought the event-organization chops, while Tespa served as the esports and Overwatch guru. The championship demonstrated the potential benefits of friendly alliances between traditional sports and esports. "This event, specifically, is super-exciting to us," Rosen said. "It actually came together pretty quickly, but it's something that we all believe, as we look back five years, will be a turning point for esports and what we're doing." Universities are attempting to organize and embrace a new generation of student-athletes, even as questions about the nature of esports remain unanswered. It has "sports" in the name, but the jury is still out on whether competitive gaming is an actual athletic activity. "It's something that we all believe... will be a turning point for esports." This question isn't just pedantic -- it makes all the difference to groups like the National Collegiate Athletic Association, which regulates university sports across the country. In December the NCAA announced it was investigating the collegiate esports scene. Marketing firm Intersport was tasked with putting together a report for the NCAA, led by executive director of esports Kurt Melcher, who happened to also be the founder of Robert Morris University's inaugural gaming initiative. "The current NCAA structure, as we know, in some ways fits and in some ways does not fit collegiate esports as it stands right now," Melcher told ESPN in December. He estimated there were 500 collegiate programs in the wild, NACE-sanctioned or otherwise. But without a clear structure behind them, the industry was fractured. Students and faculty were constantly cobbling together programs wherever they fit. "We are seeing that 30 percent of formalized programs are in student services, 30 percent are in athletics, 20 percent are in an academic house setting where there is game design or computer design," Melcher said. "I think that is part of the process, seeing if this is a space that [the NCAA] should become involved in, and how, if possible." The NCAA hasn't decided what role it should play in esports yet, but the conversation is happening. The association will need to figure it out soon if it wants to get in on the ground floor of esports: Professional gaming is becoming mainstream in a real way. More than 10 million people tuned into the debut week of the Overwatch League in January, and Blizzard confirmed it's raising the franchise fee for season two. 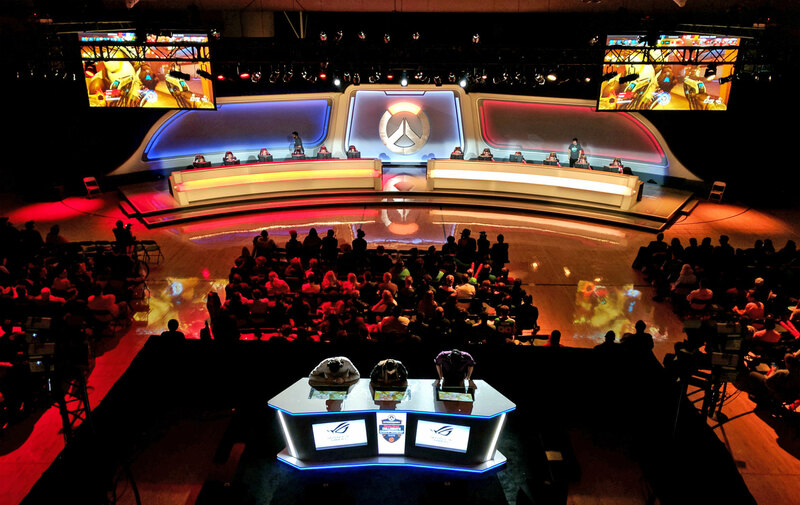 Twelve teams across the globe paid $20 million each to buy into the OWL in season one, but ESPN sources expect that figure to hit as high as $60 million for season two. And that's just Overwatch, one of the newest titles in esports. Games like League of Legends, Counter-Strike: Global Offensive, Call of Duty and Dota 2 also have rich competitive scenes, offering millions of dollars in prize money each year and regularly selling out massive sports stadiums. Meanwhile, last weekend, the Fiesta Bowl Overwatch Collegiate National Championship sold out the Sun Devil Fitness Complex. For players and faculty, this was just the beginning. "We at the Fiesta Bowl, we are known as one of the premier college-bowl games," Nealy said. "Which is true -- we wouldn't have just done this if we didn't think this was a serious situation." On the Overwatch side of things, Rosen agreed. "We're trying to build a world where we have events like this on every campus throughout North America and beyond that into the world," he said. "And that these events, which this year is filling up the Sun Devil Fitness Center, will grow to be filling up stadiums just a few short years from now. So that's the path we're on, and I think, looking back, we hoped we'd reach a point like this, but we didn't expect that it would come so quickly."